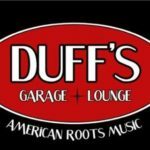 With a great deal of sadness we witness the loss of one of Portland’s iconic blues venues as Duff’s Garage closes its doors in April. 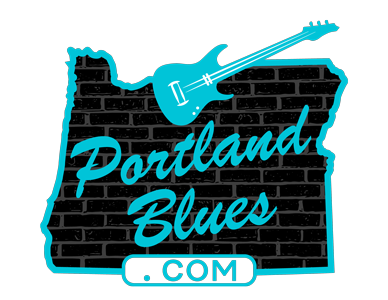 During the last fifteen years, Portland’s music community have seen much growth in the number of its musicians, it benefit showcases, and touring artists. And now they will all find it a bit tougher to locate a room to play in the city. So although it is bittersweet, Jon and Jennifer Wallace will be closing Duff’s with one final celebration of their fifteen year history, going out in style with a night of jumping blues featuring a doubleheader with the Ben Rice Band and The Jumptown Aces on Saturday, April 1. Multiple Muddy Award winner and St Blues Best Guitar winner at the 2015 International Blues Challenge Ben Rice has had pretty much the length of his career coincide with Duff’s Garage, playing there on many occasions. One of the area’s most popular bands, they are a perfect way to headline this final night. As also are The Jumptown Aces. Duff’s has always maintained a venue open for bands that offer swing music and The Aces are a natural fit for that. The essence of the band is hard hitting swinging rhythms, honkin’ sax parts, fast walking bass lines, greasy guitar riffs and blues shouting vocals that just makes your body want to move. Duff’s Garage is located at 2530 NE 82nd Avenue. Show time is 9:00 pm.